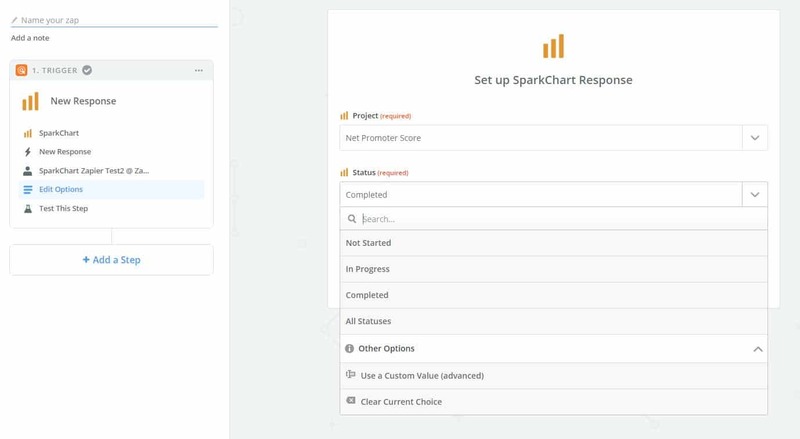 Did you know that you can connect Spark Chart with 1000+ apps and automate survey tasks and workflows using Zapier? Learn more at https://zapier.com/apps/sparkchart/integrations and https://zapier.com/blog/updates/2035/spark-chart-integrations. Zapier is a web application that allows you to create do-it-yourself automated tasks and workflows (Zaps) between apps without the need to write any code. With Zapier Triggers and Actions, you can automate many workflows between Spark Chart and other applications. Zapier calls these automations “Zaps”. To learn more about Zapier, please see their help at Zapier Help Basics. 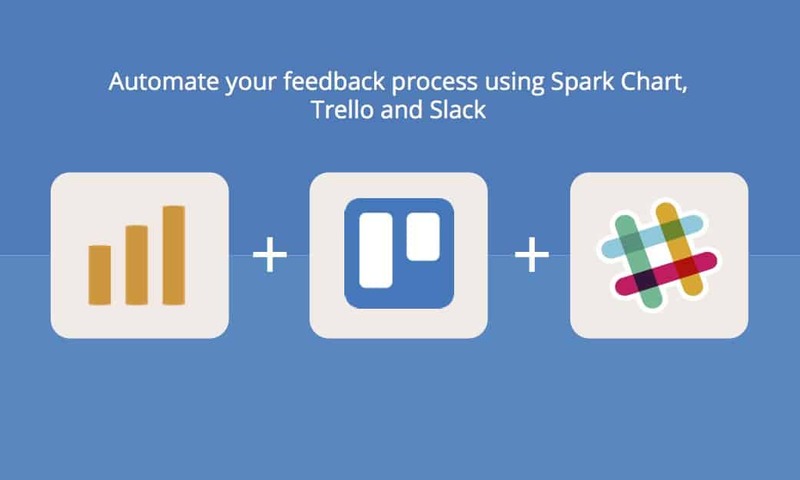 Automatically add a person to a Spark Chart project from another app and send them an email invitation with the survey link. Create a shareable survey link and deploy the link using an auto-responder (like Mailchimp). Anyone with the link can complete the survey. Deploy surveys using a personal mail client (like Gmail or Outlook) when a participant is added to a survey project (e.g. added automatically from an auto-responder like Mailchimp). Get notified when a Quota of responses is received in a project. Get notified by email or Slack (or other messaging app) when a survey is completed. 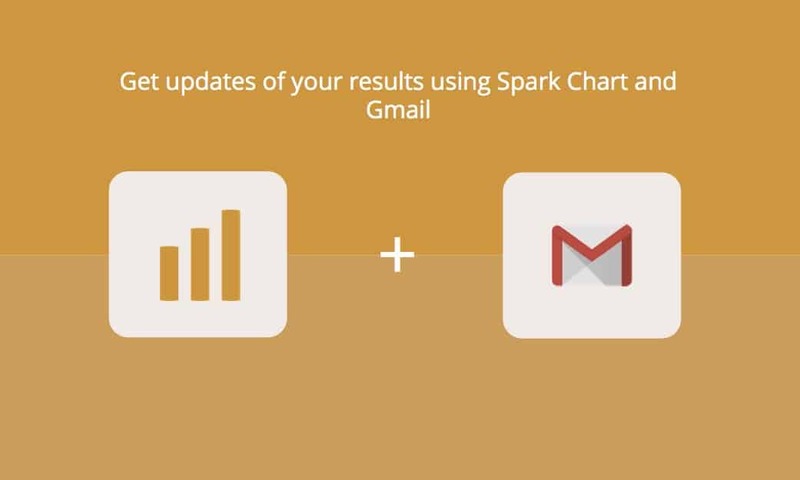 Receive the detailed results in the email and/or a link to the results to view in Spark Chart. Get notified by email or Slack (or similar messaging service) if a specific response is given to a particular survey question. When a survey is started or completed in Spark Chart, add the person to Contacts (e.g. in Outlook, Gmail, Mailchimp, etc.). Use the Zapier Filtering function to filter by selected questions and specific responses (e.g. equal to, greater than, less than, contains, etc.). So, only trigger and take an action if the filtering criteria are met. When a Share report is created in Spark Chart automatically send a link to the results via other apps. When a person is added to contacts, automatically send them a survey invitation. 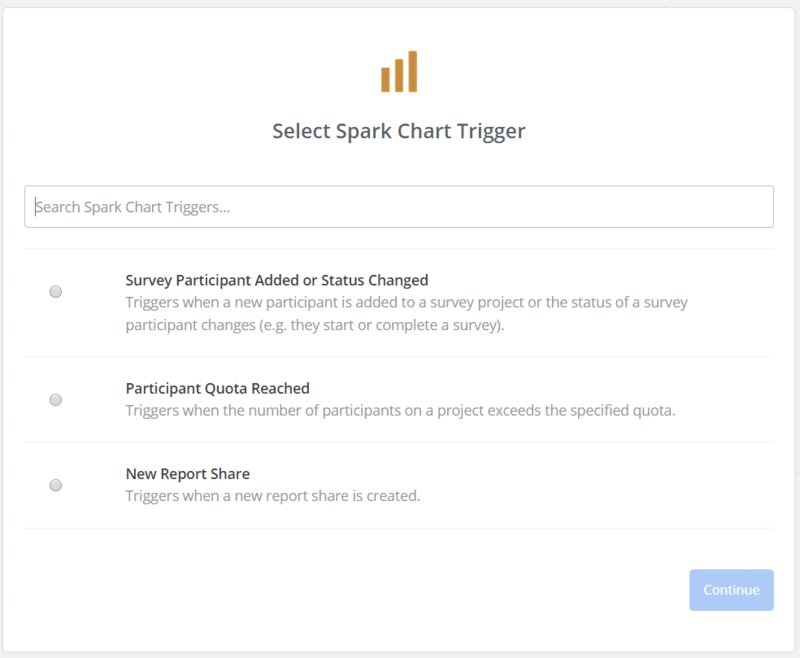 The current Zapier Triggers available for Spark Chart are Survey Participant Added or Status Changed, Survey Quota Reached and New Report Share. Create a Zap to trigger on any of the following. A participant completes a survey (Completed). A trigger can be set to perform an action when a desired quota of survey responses is reached. The precise quota can be specified. Multiple quota levels can be set (e.g. 10, 20, 50 responses). Testing requires a sample. The testing quota sample can be achived by creating a quota of 1 and a single survey participant. A trigger can be set to perform an action when a new shared report is created. A Share link is generated to view the shared survey results. Triggers can be filtered to “Only continue if” a certain defined condition is present. For example, only continue if a response to a specific question is given. Additionally, you can use Conditional Logic within surveys to also automate survey tasks. 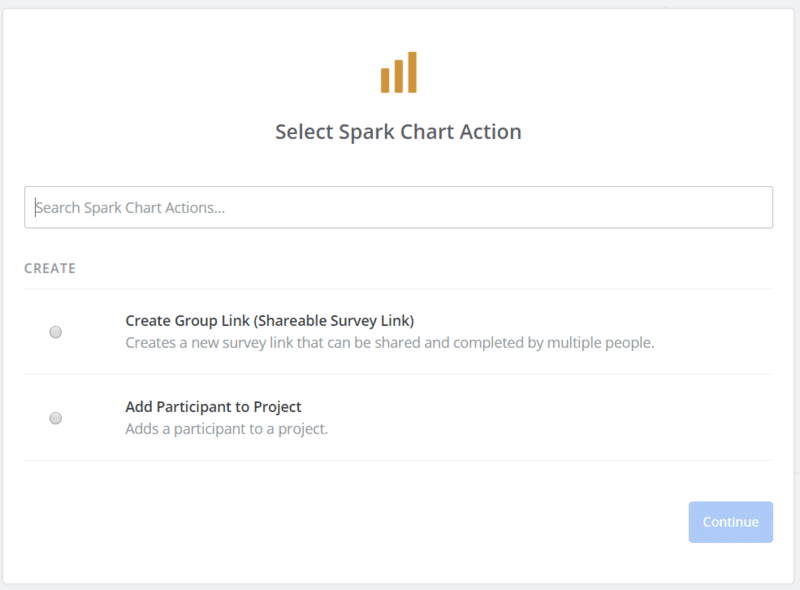 The current Zapier Actions available for Spark Chart are Create Group Link (a link to a survey that can be shared and completed by many people) and Add Participant to Project. A Group Link is a link to a survey can be completed by multiple people. The survey link is generated automatically in the process. Participants can be added to a specified Spark Chart project based on the Triggers created, and a personalised link to the participants’ survey is generated. An individual participant link can only be completed once and then the survey is closed. Example 1: This is one of the simple, but useful Zaps you can create to automate survey tasks. Create a Zap that formats an email automatically with the details of each of your survey respondents and their results whenever they complete your survey, giving you constant updates without the need to log back into Spark Chart to monitor their progress. Example 2: Add a Spark Chart Trigger for when a new survey response is received, and apply filters based on responses to selected questions. Then send customized emails depening upon the responses given. In the case of a Net Promoter Score survey, different emails can be sent to participants for say 1) a response of 6 or below, 2) a response of 7 or 8, and 3) a response of 9 or 10. Example 3: Deploy surveys via a personal mail client (e.g. Gmail or Outlook). Create a Trigger of “New Response” and choose a Status of “Not Started”. Then create an Action using Gmail or Outlook to send a survey to the person when they are added to a project. This Zap could start with an earlier Zap with a Trigger from an Auto-responder (like Mailchimp) adding a person to a survey project in Spark Chart. Automate survey tasks and your feedback process. Whenever a Trello card is moved into a specific list (e.g. awaiting feedback) Spark Chart can automatically add the person as a participant to a project. You are then sent a message in Slack. OR, create a step to automatically email the survey link from Gmail or Outlook. Centralise your contacts database. Whenever you add a new row to your specific google sheet (such as a staff list) they are automatically added as a participant to a project in Spark Chart. Zapier’s power comes from user’s creativity. To help get you started check out Zapier’s guide on Getting Started With Zapier. If you would like personalised help to automate survey tasks, please contact us.